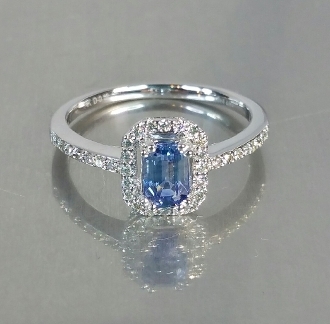 This is a rare cornflower blue ceylon sapphire in emerald cut. Ceylon Sapphire weight is 0.73ct. Made to order. Kindly allow 2-4 weeks for production.